Cliff Lodge 1: A luxurious two bedroom suite accommodating up to 3 adults and 2 children with one large bedroom and a second smaller bedroom. 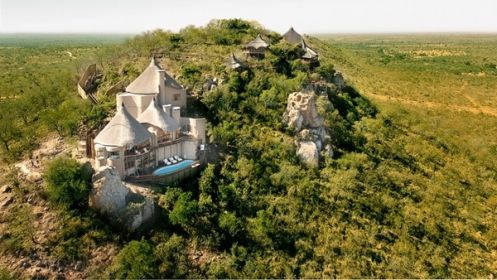 Cliff Lodge 1 offers a spacious lounge with fireplace, separate kitchen and bar and also features a mini spa, gym and an outdoor deck with a large pool. 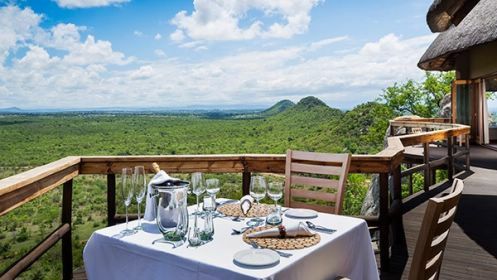 Cliff Lodge enjoys the magic of Rock Lodge as it takes full advantage over the forever views. 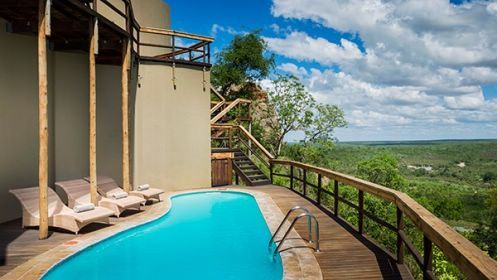 Cliff Lodge can be booked exclusively so if you are after privacy you will enjoy private decks, views and pools to take it all in. Make a splash in your private pool and cool down after the excitement of your game drive experience. 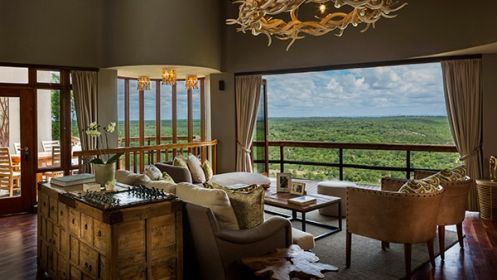 Enjoy some downtime, staring out over the bush from the top of Rock Lodge. Enjoy the telescopes and search the horizon for any activity.